Discussion in 'E3D-v6 and Lite6' started by Ethazeriel, Dec 19, 2016. I'm hoping you'll be able to shed some light onto an issue I've been having - regardless of temperature setting, my V6 heating slows dramatically after reaching 180°, and cannot go higher than about 235°. I haven't tried to print with it yet - I'm just trying to heat it up for the initial hot-tightening. The printer is running off a smoothieboard, with a 24v power supply and a 24v heater cartridge. 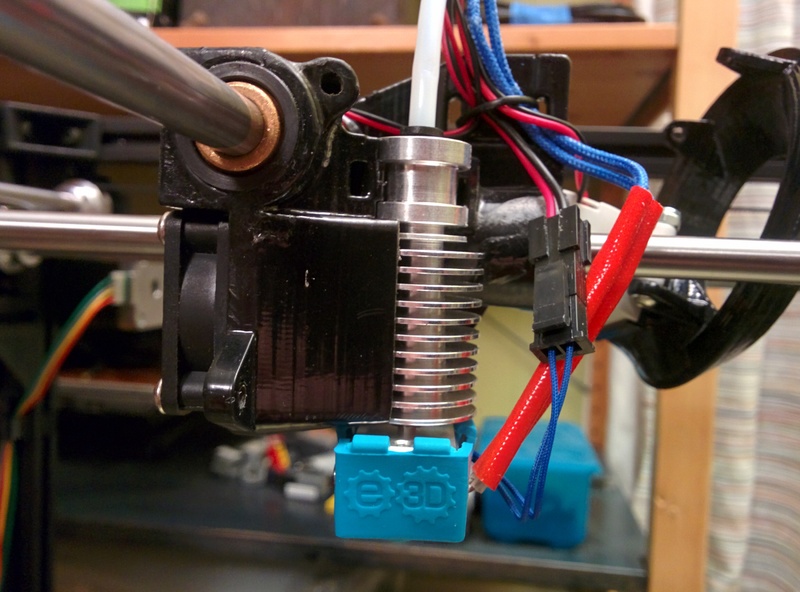 I've built several other printers with 12v V6's and never encountered an issue like this, so I'm hoping some of the experts around here will be able to weigh in. 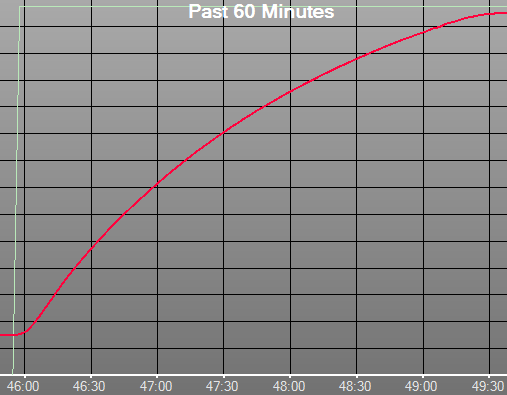 I've attached a temperature graph from repetier and an image of my setup - what am I doing wrong? I've confirmed with a multimeter that the cartridge is receiving a constant 24 volts through the entire heatup, so I don't believe that is the issue. What's the resistance of the heater? Thats a touch high, but I don't think it is the problem. I would guess either a MAX_PWM limit or a thermistor misconfiguration. Yup, high end of normal was what I thought too. Unfortunately MAX_PWM and the thermistor settings were some of the first things I checked - I'll attach the relevant section of my smoothie config below. I ordered a volcano eruption pack awhile back so I have a spare 24v heater cartridge - I'll swap it in after work tonight and see if that makes a difference, which should narrow down the problem.